The Problem: Employers are ignoring your resume. In fact, you’ve only scored one interview after sending it out to more than 100 open positions. The Solution: You use the PSR – for “problem, solution, results” — methodology to punch up your experience bullets and provide a brief project summary. The Results: You score a dozen interviews and two offers after tantalizing employers with a revitalized package that emphasizes your value. So what is this magical PSR methodology? In a nutshell, it’s a classic writing technique that authors have been using for years. Instead of providing information in a vacuum, you lure in reviewers by defining the challenge you’ve faced, your course of action and the results you achieved. The repeatable formula is often used by technical writers to create compelling marketing messages when space is limited. If you want to see the technique in action, take a look at these case studies from Microsoft. Let’s review the process and how to use the results to jump-start your search. Define the Problem: First, describe a situation where you used relevant technical and non-technical skills to solve an urgent problem. Say an employer is looking for someone to troubleshoot and resolve network issues. Instead of writing: “Troubleshot LAN/WAN connections for 16 locations,” provide context by asking yourself, “Did the network have a history of failures? What caused the problems and how did the issues impact productivity, user satisfaction and the bottom line?” Include that detail. Describe the Solution: After identifying the problem, describe the steps you took and the skills you used to resolve it. Did you use a specific tool to test routers, domains and other network components? Did you install new servers or correct configuration problems? Why was your solution effective or unique? Remember, it’s OK to boast as long as it’s accurate. Outline Your Impact: Describe your outcomes specifically and glowingly. Note who was impacted and how they benefited. After all, it’s how you align your skills to the company’s strategic goals and use them to solve problems that creates value for IT managers. The final step is to edit all of this into powerful accomplishment bullets, project summaries and interview vignettes. Use power verbs, colorful adjectives and statistics to create one- to two-sentence accomplishment bullets that address the major requirements. For example: Resolved a costly history of intermittent network interruptions by using Traceroute and Ping to test and troubleshoot route and router issues. Using diligence and expertise, initiated a unique alteration of the routing table that produced 100% uptime and increased staff productivity by 15%. 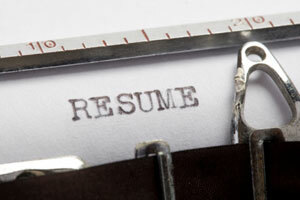 Augment your resume by offering prospective employers a short synopsis of your relevant projects. Or, if you’re a consultant, consider incorporating snapshots of appropriate projects into your resume as we did in this sample for an information security consultant and this one for a freelance project manager. Integrate your resume with the interview by using the PSR formula to create a series of short vignettes that illustrate how you’ve solved problems, applied your skills and created value for previous employers or clients. Short stories are perfect for diffusing negative questions or responding to questions about your behavior, experience and work preferences. When you combine your achievements with information about the problem and the solution, you’re on your way to creating an appealing — and highly effective — resume.